An underwater photo taken of a professional surfer from Hawaii is making waves on the internet and has the full attention of federal authorities. KHON2. 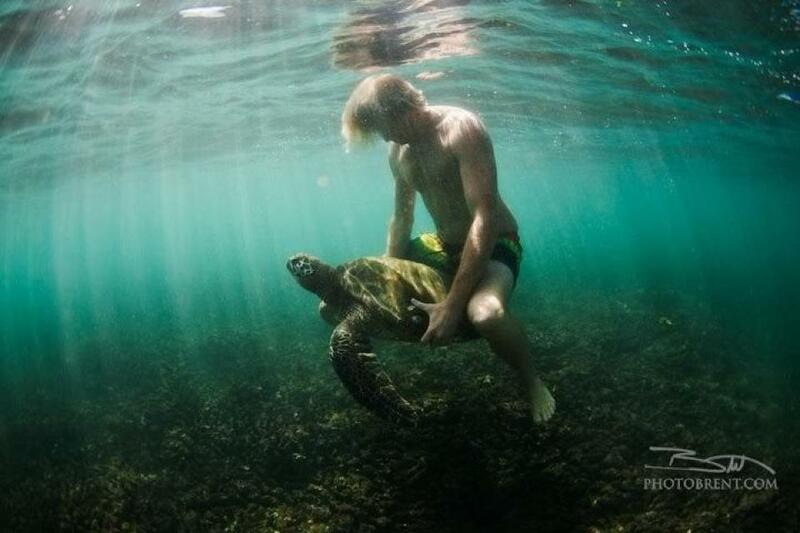 A picture posted late Wednesday night on Hawaii News Now's Facebook page of a surfer riding a turtle has sparked a controversy. Hawaii News Now. U.S. House Often a Poor Launching Pad for Governor. Governing. The Hawaii Superferry was a major embarrassment for former Gov. Linda Lingle. Civil Beat. Family support services, emergency shelter care, recruitment of foster families and training for social workers are among the services being reduced by the Department of Human Services in cutting $5.8 million from its budget. Star-Advertiser. State law requires that cases of suspected physical abuse of the elderly must be reported to law enforcement, but there is no such requirement in cases of suspected financial abuse, legislators were told today. Hawaii Reporter. Hawaii Sen. Daniel Akaka is proposing federal legislation that would increase the nation’s — and Hawaii’s — defenses against invasive species that threaten ecosystems and cause millions of dollars in damage to the agricultural industry. Civil Beat. The Hawaiian Humane Society and state lawmakers are rethinking how to regulate large-scale dog breeders after a state audit concluded that bills before the Legislature are flawed and that there is no hard evidence that such dog-breeding operations continue to be a problem in the islands. Star-Advertiser. The Honolulu rail transit project has reached a milestone of sorts with the approval of the first change order that will add $3.9 million to the cost of a rail contract. Star-Advertiser. The issue of unruly fans at Aloha Stadium is back in the spotlight after a fight during last Saturday's University of Hawaii football game was witnessed by thousands of spectators. KHON2. Private Landowners Being Asked To Spruce Up For APEC. KITV4. Homeless Evicted In Sweep Say They'll Be Back. Civil Beat. The state's Department of Human Services cut at least $178,000 from three West Hawaii community program providers this week, but the full impact of the cuts remained unclear Thursday. West Hawaii Today. Working during the pre-dawn darkness this week, 50 volunteers searched Hilo's alleyways, parks and other secluded areas where the homeless go to sleep. Tribune-Herald. The wekiu bug, a species native to the cinder cones of Mauna Kea, is no longer a candidate for endangered or threatened status. Tribune-Herald. SPECIAL REPORT: Tsunami Aftermath, the future of Kona village. Hawaii News Now. The U.S. Department of Agriculture recently awarded nearly $165,000 to two West Hawaii nonprofits to support direct marketing efforts and increase access to fresh produce in low-income areas. West Hawaii Today. A judge won't be stopping a Lahaina Halloween celebration. Associated Press. Second Circuit Judge Rhonda Loo today dismissed a temporary restraining order that sought to stop organized Halloween festivities from taking place on Front Street this year. Maui News. In these hard economic times, a large chunk of Kaua‘i’s workforce may be a mere paycheck away from becoming homeless. Garden Island. The proclamation to name the kioea the official bird of Kaunakakai, Molokai, was signed by Maui County Mayor Alan Arakawa and Council Chair Danny Mateo on Oct. 25, making it the second district in the state to declare an official bird. Molokai Dispatch.